Non Latex reeds mean they will last longer than a few pockets full of mouth reeds. Extremely durable reeds can last multiple seasons. Even then they are rebuildable. Contact us and send em back or bring em to a trade show near you and we can install new reeds to extend the life of the call well into the future. These calls have called in old wary longboards from coast to coast. Fall birds and even coyotes can’t resist. The Turkey reel doubles as a coyote pulling machine! A very versatile sound making mechanism. Clucks, Purrs, Yelps, Cutts, Ke Kee, Fighting purrs etc plus a great distress call all in one. You’ll want to carry this call all year round! Small and deadly turkey call! 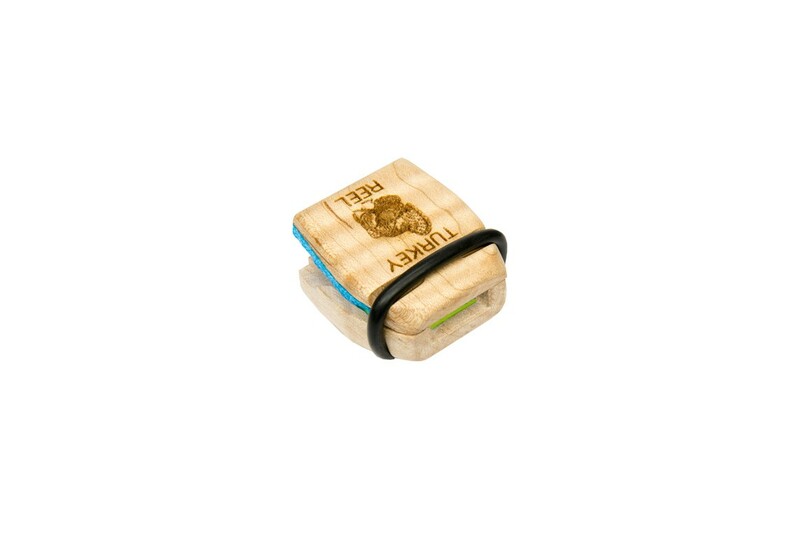 Our calls our small and easily fit in a hip pocket they have slightly more than a cubic inch in total volume. When we hunt Gobblers in the mountains its always less is more. When running and gunning back east we feel less can be more. 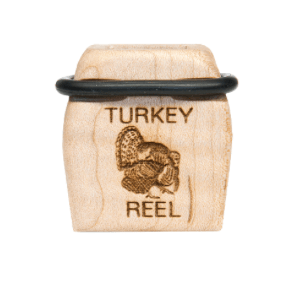 Throw a Turkey Reel turkey call in your pocket and some shells in the other and take off after that distant gobble! The Turkey Reel will give a pretty good high volume range but where this call becomes our personal favorite is the soft notes. Soft clucks, purrs, yelps, ke Kees and feeding notes are deadly once you get a wary gobblers attention. Turning the volume down to make him think you are leaving is one of the best tricks in the book. The simple mechanical action makes it like riding a bike once you got it you will have no fear whispering those deadly soft notes! No matter what other calls we have used during testing we always switch to a turkey reel when they get close. Where did this turkey call come from? As soon as the first Elk Season finished using the Elk Reel and after calling in so many elk. 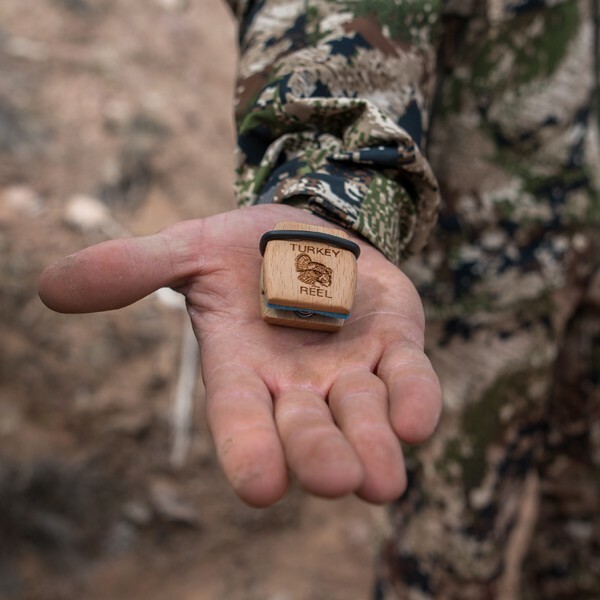 We began to explore the possibility that taking the mouth reed out of your mouth for Elk would work for a Turkey call. After all that is where the mouth reed originally came from. We added some slack to the reeds and went to product testing. We called in several Tom’s that first year of testing. 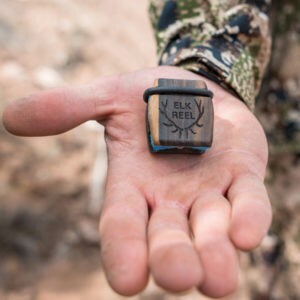 It marked the first time a single Elk Reel had called in a Bull Elk and a big Merriam’s Gobbler. We took them to Wisconsin and tested them on Eastern birds. We realized they still worked there. The lack of latex adds the ultimate durability. Our reeds can withstand temps from well below 0 to 225 degrees. They are unaffected by moisture or adrenaline. Since then we have spent several seasons refining the Original single reed Elk Reel design into a two reed call with a hybrid split v design. 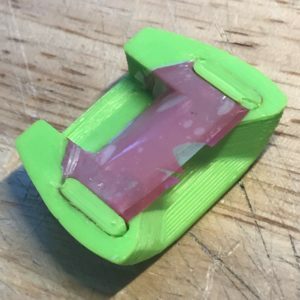 We think it mixes the sounds of a mouth call with the sounds of friction calls. Mix those two up and throw in amazing volume control and you’ve got a brand new weapon in your arsenal. 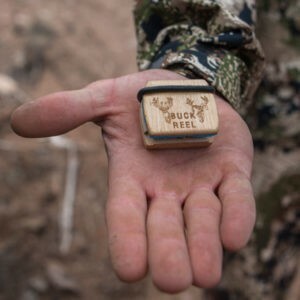 The Turkey Reel takes more skill to master than our Elk Call as Turkey’s have a highly complex vocabulary. Once you get the nuances mastered though it will be more automatic than an AK 47! You will spit vocalizations like a turkey rapper. 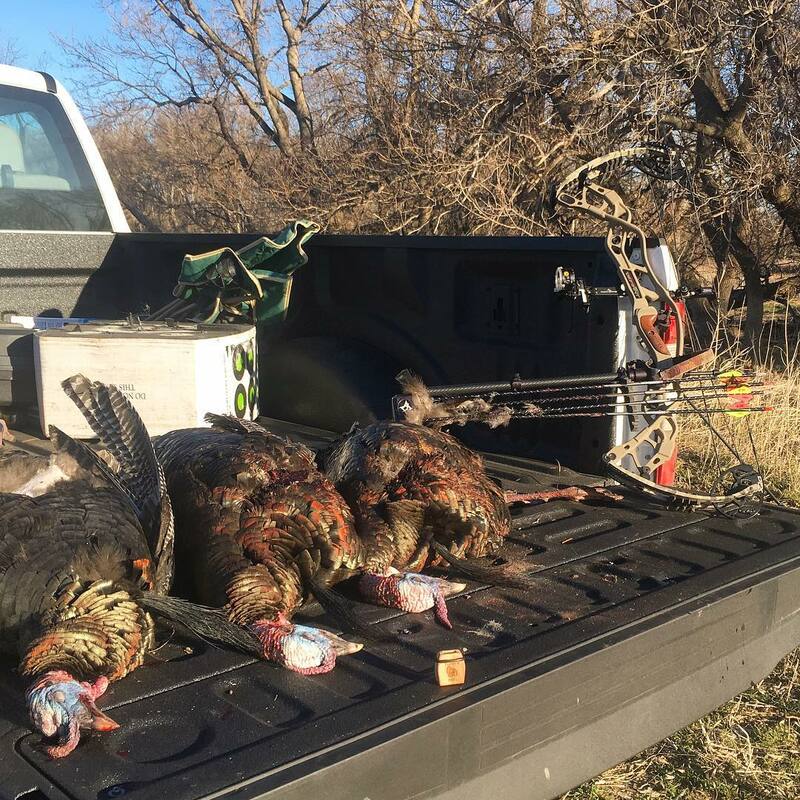 Tagged out on a triple day 1 western Nebraska. Tons of close up action! -Volume variable consistency: You can make consistent reliable vocalizations with ease at any volume. This makes it easy to locate birds. As well as turn the dial down and whisper sweet nothings to make a hung up long beard commit. -Waterproof: No amount of moisture should cause one of our calls to gum up. Even after soaking them in water all thats need is to shake off the excess quickly and you’re back in business. 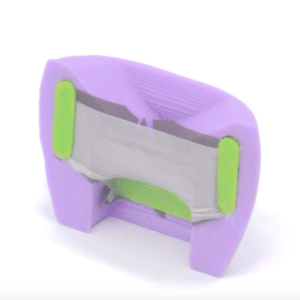 -Durable: We use high quality materials and cutting edge CNC manufacturing to offer calls that you can throw at the wall. Leave on the dash in the sun. Step on. Sit on and then use to make a reliable Turkey vocalization. They are rebuildable and offer a long term calling solution in todays throw away hunting call world. It will absolutely outlast pockets full of mouth reeds. -Non latex construction- Latex allergy free our Nitrile Reeds will let you throw a different tone at call shy birds. Sometimes that is all it takes. 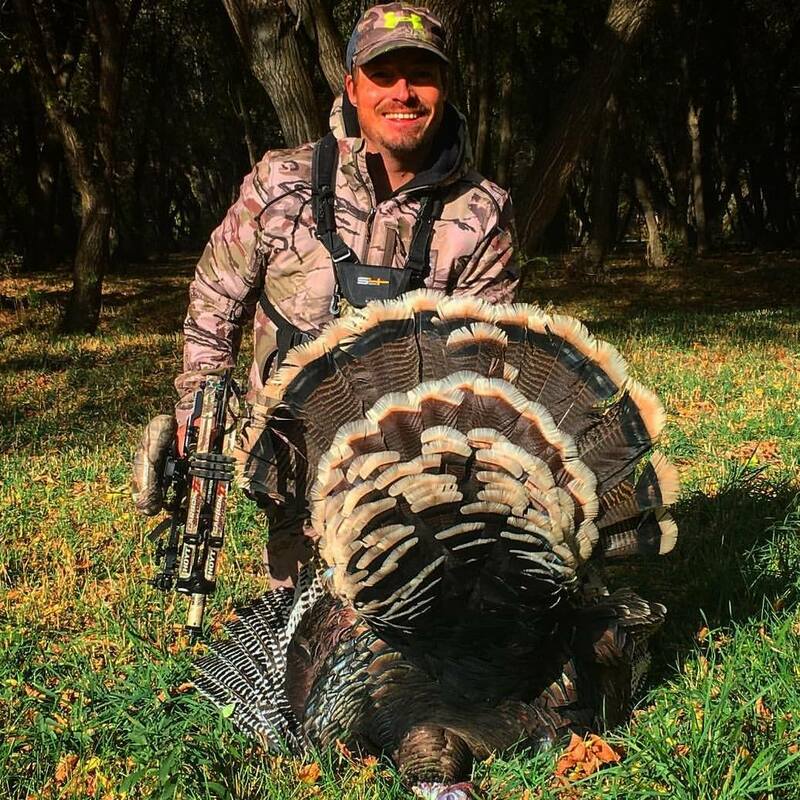 We all know the guy that has every Turkey call under the sun and will throw them all at birds until he finds something that works. If that guy is you then throw some Reel vocalizations at that boss hen. See if she doesn’t trail old paintbrush past your setup this spring! -Our calls are back by a SATISFACTION GUARANTEE what that means is if you have any issues get in touch with us and we will do what is necessary to make it right. Non stop calling action from April 2017! 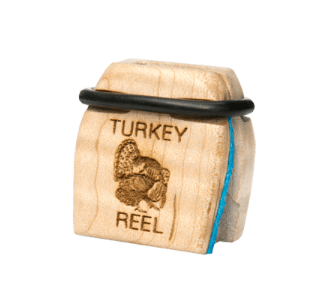 Just ordered the Turkey Reel. I cannot wait to try it out! 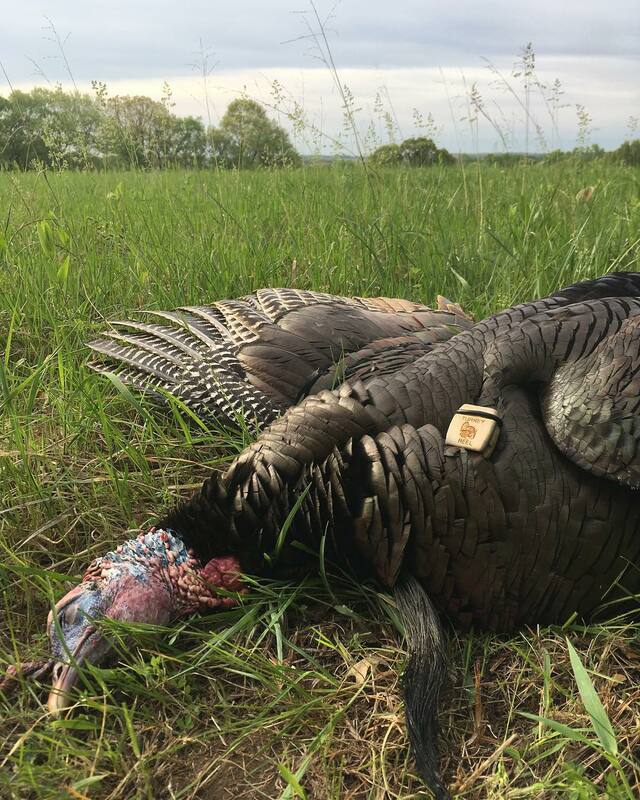 Last season in Wisconsin, during the fourth season, three toms strutted for this call for 20 minutes, moving closer and closer away from their hens. The jig was only up when a whitetail walked in from behind and spooked the entire set up. I also called in a coyote with this call as well, blowing it when I raised my crossbow an inch. This works well. Subscribe for specials, news, and excellent articles.